All vegetable gardeners want a successful harvest, and I’ve found that no time is more pivotal than the first month or so after planting. 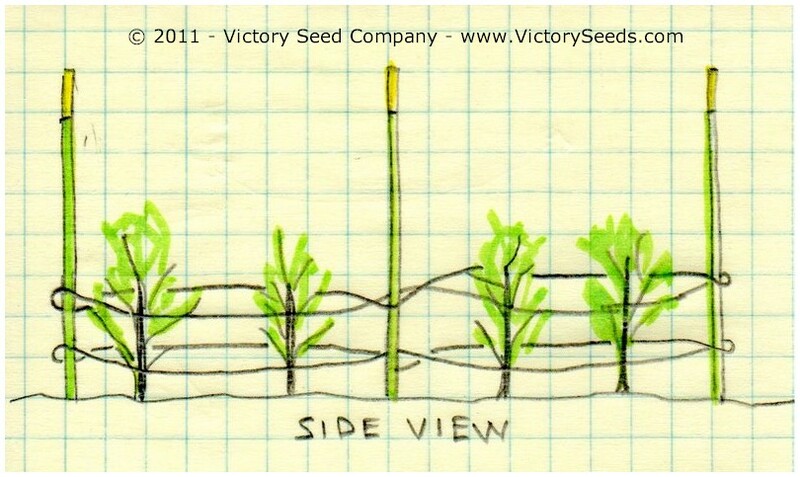 This is when our seedlings take route, and establish a strong foundation for future growth. I spend more time in my garden in spring than any other time of year, and it always pays off. Here’s a list of late spring tasks that will benefit your organic vegetable crops. Many of our vegetable plants already attract bees and butterflies, but we can supplement these with flowers like Echinacea, bee balm (Monarda), poppies, zinnias, yarrow, and sunflowers, among others. And I like to grow common milkweed (Asclepias syriaca) to attrach Monarch butterflies, and bronze fennel to attract Swallowtails. It’s also a good idea to include a shallow water source for the pollinators. And if you’re committed to attracting pollinators, you could get your garden certified. I live in central city Philadelphia, but my vegetable garden lives in rural Berks county (zone 6b). I see no deer or groundhogs in my neighborhood, but they certainly frequent the neighborhood around my garden. The local rabbits are quite voracious as well. So I’ve installed simple 8-foot long 2x4 posts (not pressure-treated) and plastic deer fencing. I added heavy logs around the perimeter to prevent the rabbits and groundhogs from sneaking under the deer fence. I’ll have to keep an eye on my fence throughout the growing season, because those critters are crafty, and just might find/dig/gnaw a way through or around my fence. Vigilance is key. You might consider red plastic mulch for your tomatoes. Penn State scientists found that red mulch increased tomato harvest by 10 percent, on average. To keep the weeds at bay and encourage a better tomato harvest, staple red mulch to black mulch and lay it on the ground red side up. The easiest time to do this is before you plant your seedlings, but you could also lay it after planting, and create cut-outs for your tomatoes to poke through. Organic vegetable gardening is actually really easy. The biggest time commitment comes in the spring, but the summer and fall payoff is truly worth it. Take a little extra time now to nurture the plants and help them set a strong foundation. The absolute best thing you can do for your garden now and throughout the growing season is to walk around and look at the plants. How are they doing? Are they getting enough sun and water? Do you see any evidence of disease or insect damage? Catch it early, and your plants are likely to recover. If you find something strange or troubling in your garden, don’t hesitate to contact the Master Gardeners. We’re here to help!